Bespoke service, offering the finest materials and personal attention. 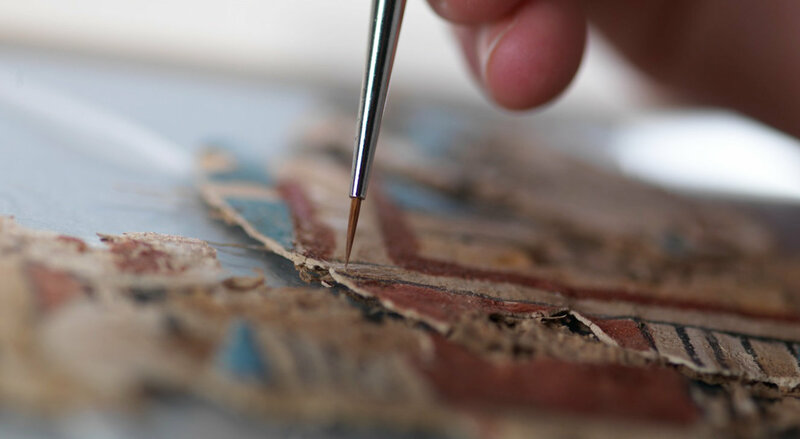 Our aim is to ensure the optimal preservation of your treasures, so that they may continuously enjoyed by this generation and generations to come. Millenia-old papyri are conserved with microscopic precision allowing scientific evaluation and interpretation of historic primary sources to take place. Flawlessly accomplished conservation is always associated with safeguarding values – we are happy to discuss all treatment options during an initial on-site visit. The preservation of art is a great challenge. Objects frequently suffer from active mould, surface dirt, instability, general embrittlement and damage caused by water or heat to name only a few causes of decay. This is often attributed to inappropriate storage conditions and the march of time. 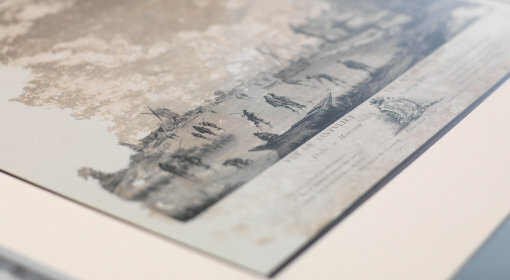 Much faded glass plate negative can be saved from total loss with the aid of digitisation and development of images. Isabella Koranda will be your competent partner for all these challenges. It is the company’s great pleasure to offer individual bespoke solutions. 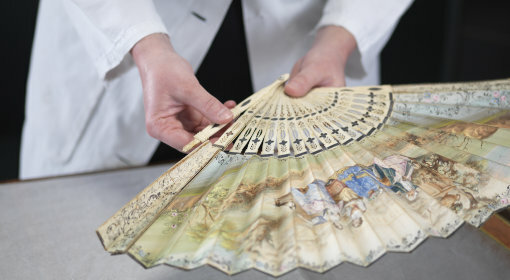 Whether your object is a well-known masterpiece, a document of historic importance or a personal treasure such as your grandfather’s first love letter to your grandmother, it will receive the same loving attention and optimum care – always working to the highest possible standards and following the guidelines of the international Code of Ethics. A torn watercolour may be repaired, missing areas filled in and retouched, in order to ensure undisturbed enjoyment of the artwork once again. Appropriate mounting and framing can then be undertaken sympathetically.